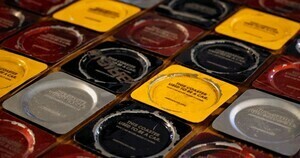 Bar coasters hydraulically pressed from car wreck metal. A campaign by Canadian ad agency Rethink for the Arrive Alive drink driving awareness group. Posted in Comics and tagged Drink, Driving at 1:10 pm on March 22, 2017 by Broadsheet. Wha’? 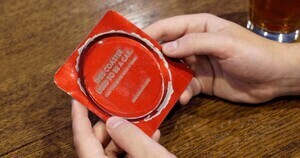 You’d prefer a coaster made of human skin? True, though it’s fair to say many other objects can be fashioned into weapons, should one want to. I’d say in those types of establishments it’s not “Arrive alive” so much as “leave the pub alive”. Oh wait. 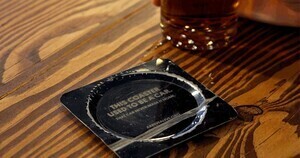 I just read the message on the coaster. Carry on.